Be part of the Frigo family! We’ll make it easy for you! Frigo has all the tools you need to make custom designed and built to order stainless steel or copper kitchens, bathrooms and patios available to all your customers. No showroom, no problem! 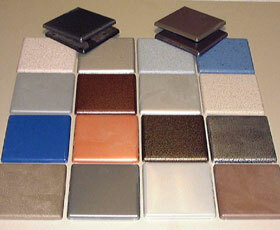 We have displays that you can take to the customer to show virtually all their metal options. Since all of your products are custom designed and built to order you have no inventory to purchase or stock. Just purchase the Custom Display of your choice and following your first qualifying order at retail price, you are qualified for full authorized dealer discounts. All Frigo Design countertops, splashes, cabinet doors, etc are built then shipped. That means they require no “on-site” fabrication on your part. Just install and go. 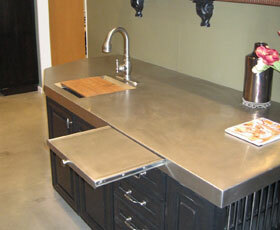 Countertop, splash, tile and appliance panel set displays are available at special “Pass-Thru” dealer costs. You design your own “best-fit” display for your store layout and market potential. “Portable Carry to Customer” displays and display cases are also available. 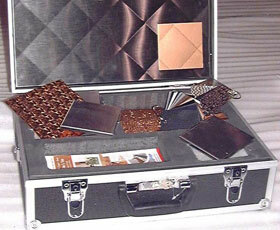 Sample Countertop material, Tiles, Splash, Sample Rings, Brochures and much more all in a sturdy metal case. Ready to leave on your Store Display Counter or take to your customer's home. 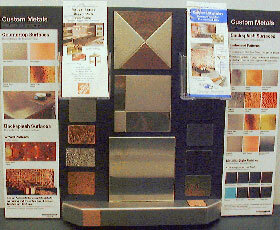 A wide selection of Countertop and Backsplash Metals, Finishes, Patterns, all mounted on Metal Backer Board ready to ``hang`` or ``carry``. A wide selection of tiles in various sizes and patterns that is mounted on a durable Stainless Backer suitable for hanging on wall or portable enough to carry to customer's home. Dealer chooses a Custom Frame with panel that best suits his showroom and market. 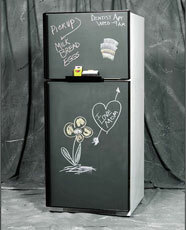 Choose from any surface: Stainless, Acrylic Colors, New Metallic Finishes, Chalkboard or Real Wood Panels. Built to fit the refrigerator chosen by the dealer. Dealer custom designs the display that will create the best selling experience for their customers.